Mike Mignola’s devilish signature creation lit up shelves 25 years ago with the launch of Hellboy: Seed of Destruction, and publisher Dark Horse Comics has no intentions of letting that anniversary go uncelebrated. As part of their “#Hellboy25” week, Paste is thrilled to reveal the upcoming omnibus collection of one of Mignola’s non-Hellboy projects: Baltimore, co-written with novelist Christopher Golden, and illustrated in the first half by Ben Stenbeck and colorist Dave Stewart. 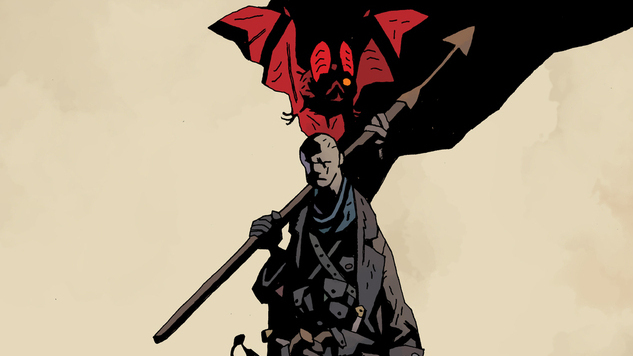 While Baltimore features the depth of folklore, horror and ink-drenched artwork fans have come to expect from Mignola-related projects, the series is its own self-contained universe, progressing in a more linear fashion than Hellboy’s sprawling epic—and leaning away from the humor that often accompanies Big Red’s adventures. Mignola fans who’ve missed out on the Baltimore experience can correct that omission this October, when the first of two omnibus collections hits shelves. Encompassing the first half of the series, Baltimore Omnibus Vol. 1 also sports a brand-new cover from Mignola, which Paste readers can find below, along with a list of events taking place Saturday, March 23, 2019, for Hellboy Day. Event Title: Hellboy Day Signing, Beer, and Cake!